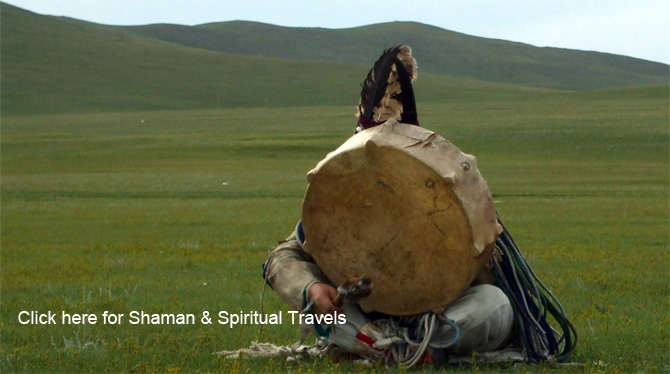 As far back as the historical record goes, shamanism was the oldest religion practiced in Asia, which was once a single cultural area extending over Russia, China, India, Mongolia, Tibet, Nepal and Persia; where shamanism was concerned, these were a unified culture. After 1300 AD, the Mongols converted from shamanism to lamastic Buddhism, and this faith spread all the way up into Siberia. There are important elements to this Asian shamanism which do not appear in accounts from north and south America. Although Asian shamans are no slouches when it comes to falling into trances, flying away on 'spirit journeys' and so forth, there are elements to their religion which are much more concrete than this, less sensational and far more fascinating. The old religion of Mongolia is shamanism, the worship without scripture, the faith which had no books; the hallmarks of the shaman were ecstatic trembling, involuntary speaking and singing. Along with the shaman's role in life, though, there were the hallmarks of what seem to be basic Bon beliefs: the cult of the eternal blue sky, the veneration of fire, the invocation of Geser Khan and ancestor-worship; incense offerings to the tengri /sky/, prayers to hills and mountains and the lha therein, and blessings and curses; and Ongghot worship. The story tells that early shamans wore white dresses and rode white horses. In the spring, the offerings to the ancestors were performed by women or else in the presence of women. Shaman costumes are inherited from previous shamans and represent a traditional garb, like a uniform. For Mongol shamans, metal hung about their persons was essential, and some of them wore up to forty pounds of it. These material objects represent the shaman's ancestors and her spirit helpers. They wore a kaftan which closed up the back (not the sides, as is normal for an ordinary Mongol kaftan) ornamented with small pieces of metal and bells, each of which is trimmed with little strips (of cloth or leather) in snake form - which may represent a bird's feathers, ie spirit flight. The name of this formal shaman's dress is quyay, "armor" or else eriyen debel, "spotted dress". Over this is worn an apron of tapering strips about 32 inches long, hanging down from a band 8 inches wide; the color and number of the strips varies. All shamans (even those who have abandoned the rest of their ceremonial dress) wear a further apron, which is a belt of leather hung with mirrors. Altaic shamans wear nine mirrors. The mirrors are called toli and this apron has several names: the "blue cloud-bee" and also boge-yin kulug the "mount of the shaman". Mirrors frightened evil spirits away. Further, the shaman's mirror reflects everything, inside and out - including the most secret thoughts. One shaman was quoted as saying that in his mirror, his spirit horse lives and will come when he calls. The mirror's final task is to turn away the invisible attack of evil powers, protecting the shaman. Mongol shamans sometimes wear helmets with horns. East Mongolian shamans wear silk headclothes, usually red. The spirit drum in eastern Siberian cultures is a round drum with a crossways stick. The second form of drum has a handle with rattles inside it. Form of drums: on a round or oval iron ring, a thin goatskin is stretched when wet; the lower part of the skin has a hole through which a 7 inch handle is fitted; this is iron and runs in a ring of twisted bar-iron; the handle is wrapped with leather strips. Nine small iron rings slide along the ring of the handle, making a rattling sound. These drums are usually called "peace-drums" or "drums that welcome the New Year". The sound frightens evil demons and drives them away. A shaman in ecstacy could do feats of strength and endurance impossible for normal men. Mongolian shamans offer forty four rituals. During the ritual shamans bacome “animated” and serve as a material support for the spirits that the shaman calls. It is noted that By 2000 in summer teachers and research people from Mongolian National University had research on shaman's ritual: singing, dancing in special costumes using drums and so on… They visited to shaman's house in north part of Mongolia and agreed to explore the rituals of shamanism. The shaman lady had the spirit of high mountain and she agreed to show them the ritual to bring the sacred mountain's snow to her house. The research team divided into 2 part to discover the ritual, so some one left outside of the ger to explore how the snow will be carried into the ger. Some people stayed inside of ger and looking at how she was dancing and singing. The most unexplainable thing is she could do, the snow was thrown through the upper window of ger into its inside, told the people, who stayed in ger. But the people left outside the ger said they did not see anything and proved nothing happened. Of course, the research team was surprised how the snow was came into the ger and where was the snow from in so summer hottest days. Mongolian shamans were prayers to "the power of Eternal Heaven", prayers to the White Old Man (Cayan Ebugen) to the three gods in the form of armored men on horseback (Sulde Tngri, Dayicin Tngri and Gesar Khan) and to the constellation of the Great Bear (Doluyan Ebugen). Offerings of incense. Worship of fire. Worship of Mother Earth, and of the four great mountains. In north Mongolia the fire-offering is celebrated exclusively by women on the twenty-ninth day or the last month of the year. The Fire-Mother may be the oldest version of the god of fire ...? She is the butter-faced one, who later becomes the white mother with the thunderbolt. In older prayers, the Fire-Mother is not one woman but the mothers Tala Khan, the older and younger sisters. These Fire-Maidens may number up to five sisters, wild deities with blinding white faces, upraised arms, wide-opened mouths with bared teeth. Four Fire-Maiden Tngri of the cardinal points are also spoken of: the eastern being white, the southern reddish-yellow, the western dark-red and the northern black. Prayers to the Fire Mother included requests for blessings to the umbilical cord and the womb; the birth of sons; long life, fame, riches, power; for good fortune and also protection of many kinds. 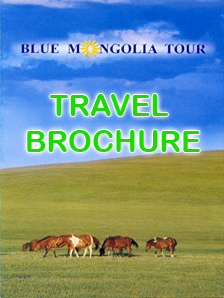 In present days most of the Mongolian Shamans are living in extreme and north part of Mongolia offering the shaman rituals to the people at their request. They are dedicating their rituals and incredible power for many things such as treatment of suffered people from any deseases, grabbing advice for fortune and so on..